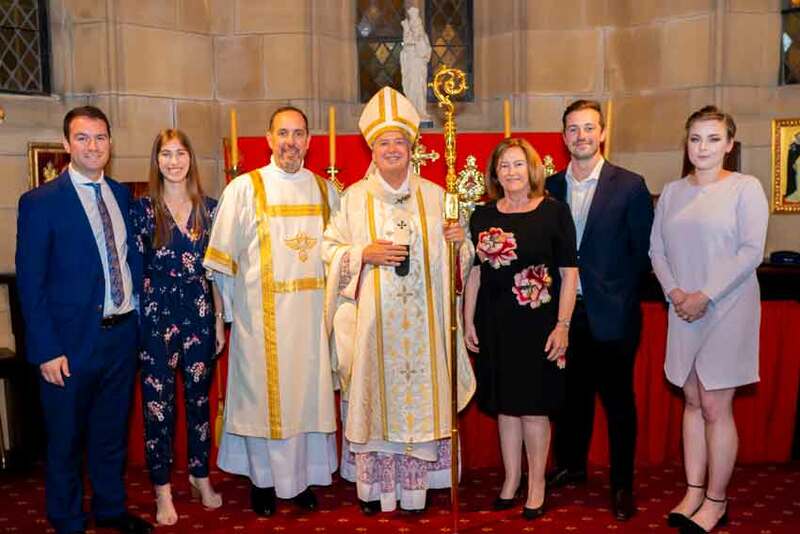 Sydney has two new permanent deacons who having reflected on a lifetime of receiving God’s love have devoted themselves to serving others. 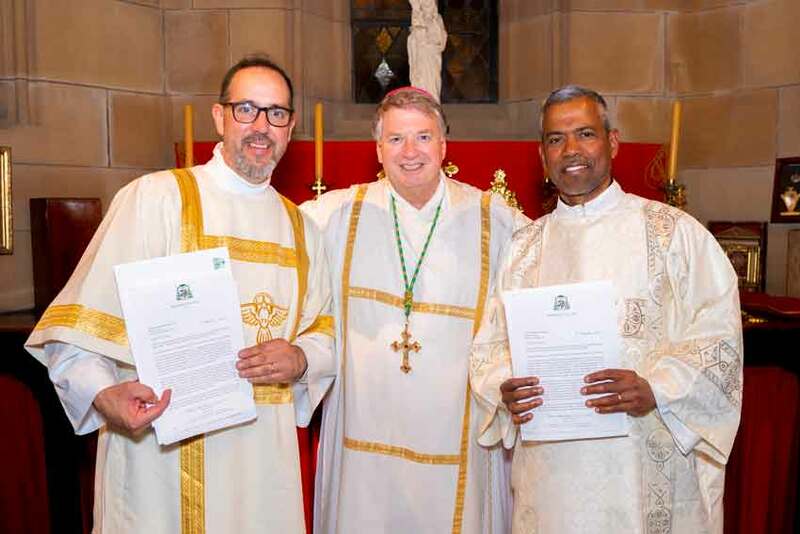 Archbishop of Sydney Anthony Fisher OP ordained Christopher Roehrig and William Fernandes before family, friends, and parishioners, in St Mary’s Cathedral on 9 November. He welcomed the men with “great joy” and thanked the director of the Office for the Permanent Diaconate Fr Thomas Carroll, and president of the Catholic Institute of Sydney Dr Isabell Naumann issm for assisting them in their discernment and formation. Fr Carroll told The Catholic Weekly that the latest ordinations bring the total number of permanent deacons in the archdiocese to 16. “Sydney is very much enriched by these men and their families,” especially their wives, he said. “They bring their variety of backgrounds and particular strengths to their calling and I have seen significant growth in all the men that have gone through the four-year permanent diaconate program. The Acts of the Apostles describes the work of deacons in caring for the poor and proclaiming the Gospel. For several centuries deacons ministered in close cooperation with the bishops of the Church, assisting at Mass, preaching the Gospel and exercising a ministry of charity. During the first millennium the permanent diaconate gradually declined in the Western Church and become a transitional order for future priests. It was not until the Second Vatican Council that the permanent diaconate was revived in the Latin Church. In his homily, Archbishop Fisher explained that the new deacons will minister at baptisms, weddings, and funerals, as Extraordinary Ministers of Holy Communion, as preachers, and in various works of charity. “As servants of the word, the altar and the people, you will be servants of God,” he said. Deacon Christopher said he felt “truly blessed and overwhelmed with happiness and the Holy Spirit”. “I am looking forward to telling every man, women, child and baby that Christ lives in us, Christ is Love and that Christ is praying for us,” he said. “If my brothers and sisters can see Christ in me, then I have given him glory, honour, praise and my heart is happy. Deacon Christopher is a former US marine who settled permanently in Australia with his wife Kristin and family in 2000. An architect, he designed the new chapel at Australian Catholic University’s North Sydney campus and was encouraged by Ashbury parish priest Fr Andrew Feng Xiang to consider the diaconate program. He will most likely serve at St Brigid’s Parish, Marrickville. 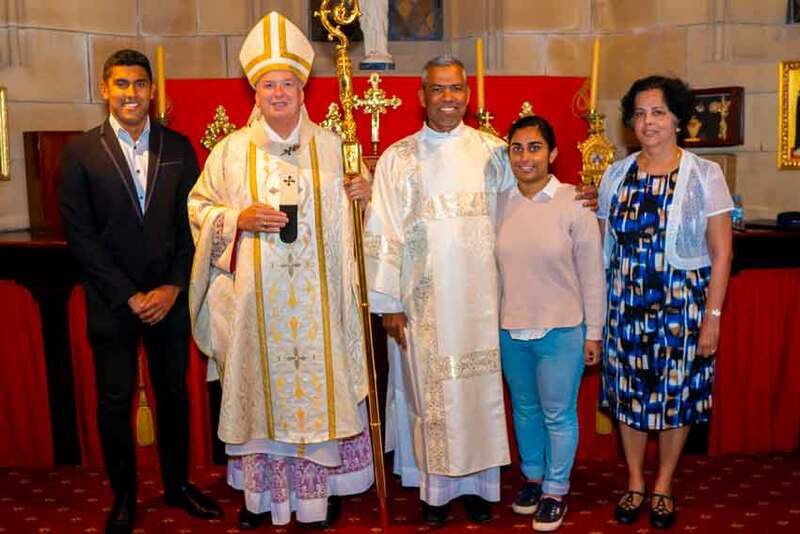 Deacon William grew up in a devout Catholic family was introduced to the Catholic Charismatic Renewal and migrated to Australia from India 1986. After 20 years working as an engineer he changed careers to professional counselling, and is expected to serve at St Joseph’s, Riverwood. Deacon William served as acolyte, visitor to the elderly, and chair of his parish council before applying for the program with the support of his wife Dorothy. 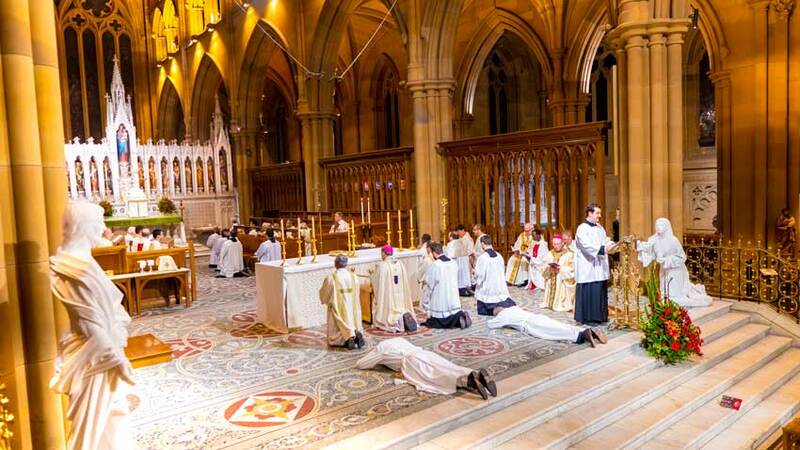 He said he felt “a bit nervous” at his ordination as it was the first time he served at a liturgy at the Cathedral. “Overall I feel reasonably equipped for ministry, although the formation is ongoing,” he said.